Marin biology professor is to thank for national bee count. How many bees does it take to keep our food supply supplying us with food? Gretchen LeBuhn is helping us to find out. The Corte Madera-based professor of ecology at San Francisco State University is the creator of the Great Bee Count, according to the Marin Independent Journal. Her research helped show that loss of habitat is drastically reducing bee populations across the country. On Saturday, volunteers will observe bees in flower gardens, vegetable patches, and fruit orchards across the country to determine if populations are plummeting further, the newspaper reported. Urban gardens see almost a third less bees than gardens in desert areas, giving credence to the theory that less habitat equals less bees -- and less honey, the newspaper reported. 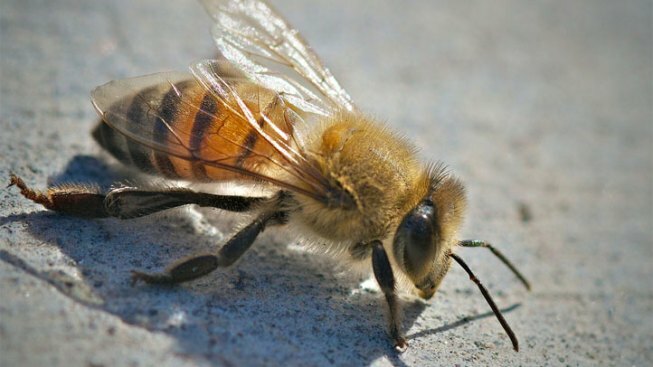 Bee populations started dying off by the millions in October 2006, with some commercial beekeepers reporting hive die-offs of 90 percent or more, the newspaper reported.